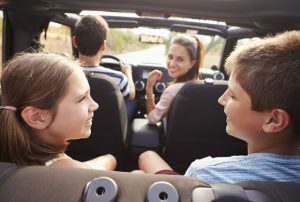 South African retailers have launched a variety of new gaming specials in an attempt to keep prices reasonable for SA consumers. 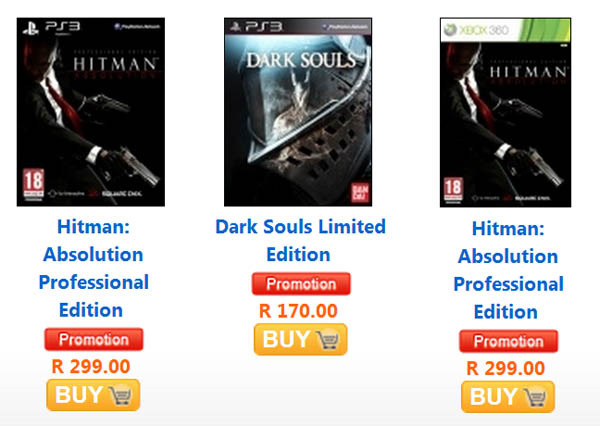 Animeworx has a number of gaming specials on offer, with the Limited Edition of Dark Souls (PS3) priced at R170, while the Professional Edition of Hitman: Absolution (PS3 and Xbox 360) is R299. Premium hardcover art book with a foreword from Game Director Tore Blystad. Exclusive behind-the-scenes “making of” video. 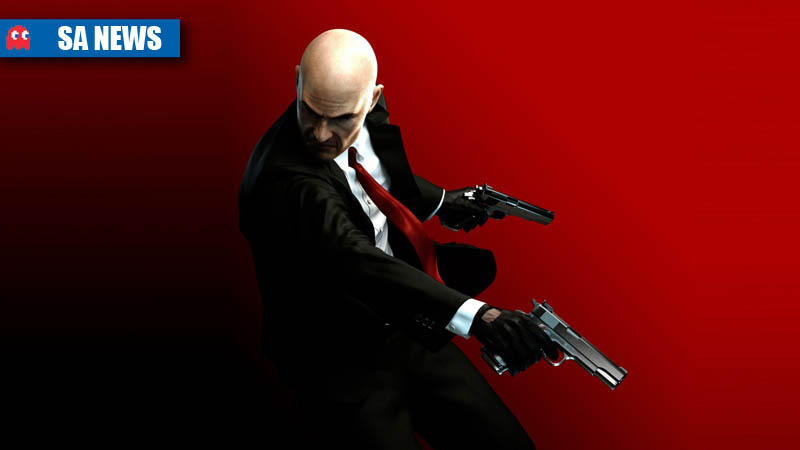 Packaged in a clamshell box box that looks as sharp as Agent 47 does in his suit. 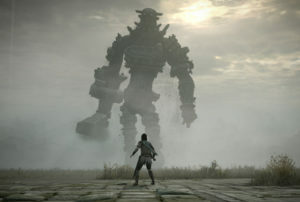 Advanced access to a range of in-game Agency Weapons, giving the Original Assassin a deadly edge over his enemies from the outset. The Agency Jagd P22G pistol will suit the silent assassins. The Agency HX UMP SMG and the Agency SPS 12 semi-automatic shotgun will give Agent 47 the power to fight his foes head on. Kalahari has a number of games on sale, such as the insanely underrated Wolfenstein reboot on Xbox 360 (R79), FIFA 13 on PC (R282), and Transformers: Fall of Cybertron for PS3 (R159). The specials are available while stocks last. 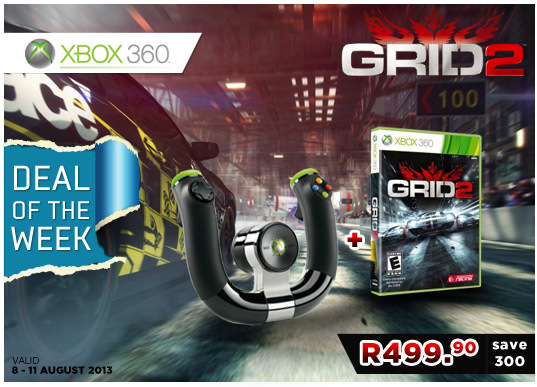 BT Games is offering the wireless Microsoft Xbox 360 steering wheel, plus a copy of Grid 2 for R499.90.